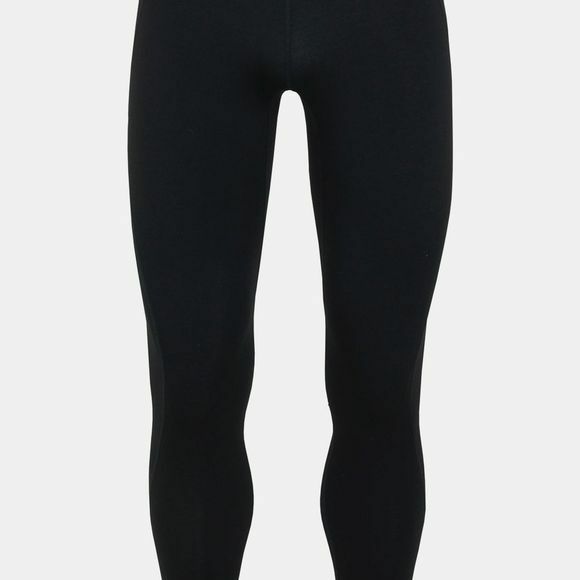 The Mens Tracer Tights from Icebreaker are designed for those who are dedicated to getting their miles in regardless of the weather. The updated Tracer Tights are form-fitting running tights ideal for quick road runs around home or longer forays on the trail. The midweight fabric blends merino wool with nylon and a touch of Lycra for the optimal combination of warmth, breathability, stretch and durability. The gusseted construction increase mobility, and reflective back ankle zips improve visibility and make for easy on and off. A zippered stash pocket secures your car key, cash or other small essentials.